I’ve had this big pile of papers to shred sitting in our basement for a really long time. I’ve made some progress here and there but I hadn’t completely finished this project. As a result, its been left to collect dust and be a constant reminder of something I need to finish at some point. My dad so generously gave me their old paper shredder so I could tackle this project in the comfort of my own home. As the pile kept getting smaller and smaller, it felt really good to know I was completing something that i started a ridiculously long time ago. I am happy to report that I am finally able to check this task off my list as completed! All that paper is out in our garage ready to be recycled tomorrow. 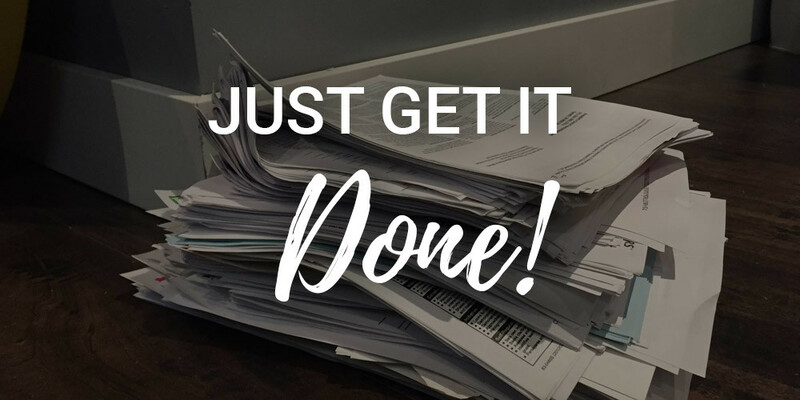 What task or project have you left unfinished that you can commit to tackling this week? Consider this your friendly reminder to complete that unfinished task that has been collecting dust in your life. Get it done. You will feel so good for no longer having it looming over your head. Let me know, what have you been putting off doing that you’re ready to complete?